We have two Strava clubs up and running for our athletes to join. One is for folks in Costa Rica, and the other is for our worldwide members. 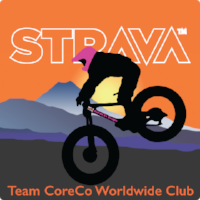 Links to the clubs are as follows: www.strava.com/clubs/teamcoreco for Costa Rica (only), and www.strava.com/clubs/teamcorecoworldwide for anywhere the team rides in the world. Come one, come all. Let's ride!! !